August 29, 2012 - Marketing & Brand Strategy. Steve Poppe, Founder. A long-time friend of mine is a big macher in the movie theater business. He offered up some interesting facts and market movers last week. 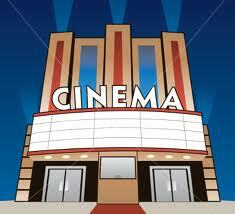 The movie exhibition business – the business of the movie house, not the film business – is a crucible of marketing. It’s retail, it’s venue-marketing, it’s entertainment and it is quite competitive…not only with other movie exhibitors but with in-home entertainment centers – e.g., flatties, cable, video on demand in the den. That said, a night at the theater is still quite an affordable night on the town. What are marketers doing to push one theater over another? Lots: IMAX, Wi-Fi, line-busting, reserved seating, food to the seat, new projectors, hi-def shimmering sound and loyalty programs. And they are testing live projection experiences: college sports, opera, etc. This is a dog fight, no doubt, but my pal is getting it done. Last year was the best year in 10. And the first quarter was the best in the last 7 years. Of course, the films are important. In one man’s opinion the movies are getting more expensive to make yet offer less in the way of plot, cinematography and acting. Frankly, some of the best new entertainment now is on cable and there’s not much of that. But like a meal at a great restaurant, you may remember the dish, but it’s the venue you return to. It’s the venue you give your money to. It’s the brand you share with friends and family. Building the experience from all angles is what makes a great theater chain. For tyro brand planners, the crucible of theater marketing is a formative one. For marketers anywhere it is a laboratory we should all pay attention to. Peace!